Now Custom made with single 22,000mcd LED! These little torches have gone up quite considerably in price in the last month, I paid less than £3 for mine, which was a daft price! Even at the new price they are less than £1 a piece and they are very handy, ideal as little gifts to the grand-kids. 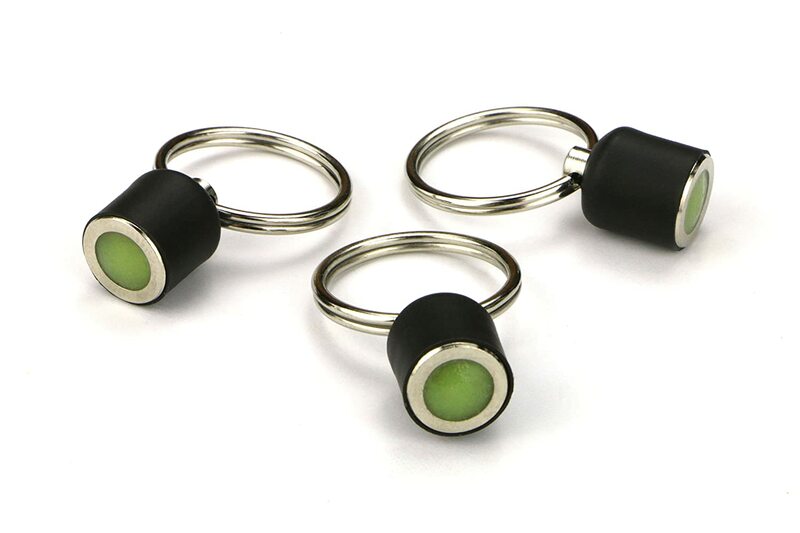 Solidly made, plain black on a split ring, they provide light while you keep the button depressed, they aren't click on/off. I also put one on the zip of my walking jacket. Ideal when you need a moments light but don't want to carry around a separate torch. 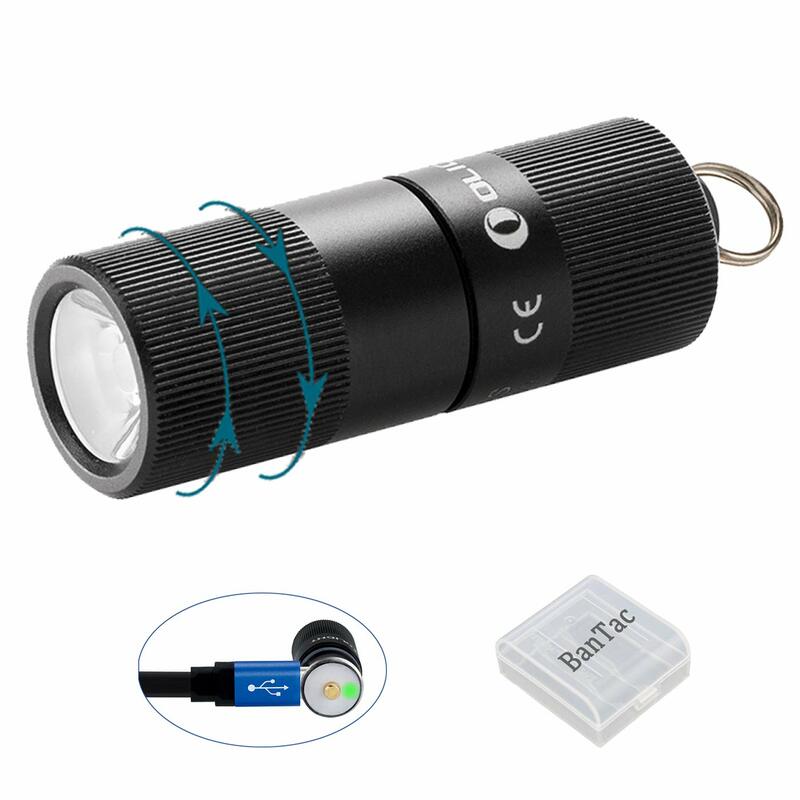 Update 24/02/15: Actually there IS an on/off switch on these torches, its so small I thought it was the catch to open the battery compartment at first: there's a tiny switch on the surface which if you click it down with your fingernail the light will be permanently on (and the reverse to turn it off, of course.). Outstanding value - this is the second batch I have bought (given lots way to friends!) and if I could award 6 stars, I would! OK not as bright as a proper torch but still amazing bright for something so lightweight and so tiny. By far the best key-ring light I have ever used or seen anywhere. 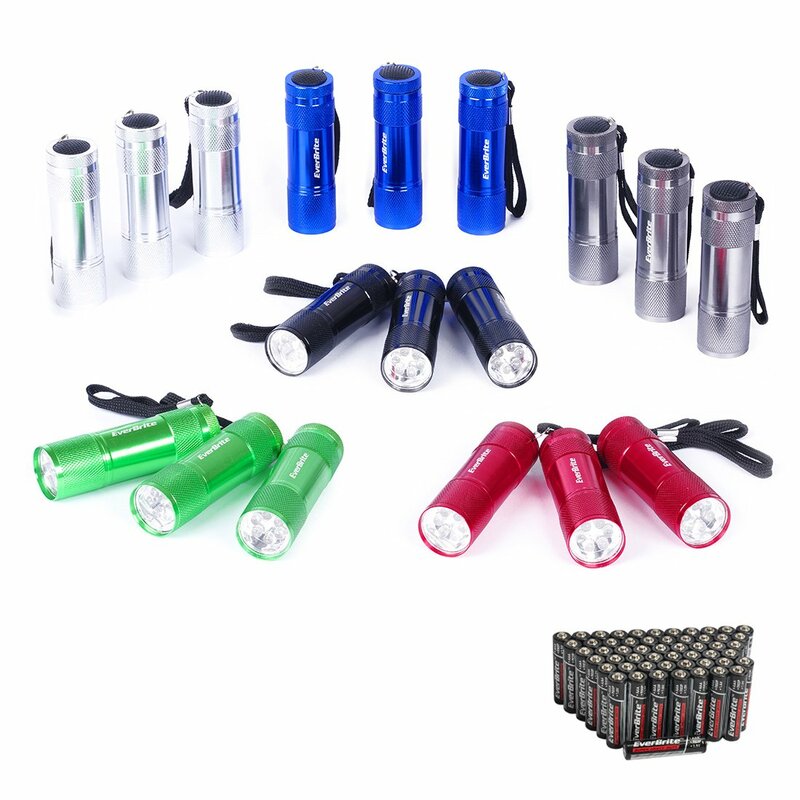 TIP: uses CR2032 lithium battery which can be expensive in shops but available much more cheaply on-line. Just need a small cross-drive screwdriver to fit it. But battery should last for ages anyway with brief, intermittent use and at this price, would probably be cheaper / simpler to buy new torch - or buy more in the first place & keep as spares. Reasonably prompt delivery (about 3 weeks) and faster than promised. Arrived safely by air direct from China in jiffy bag - they can't come to much harm in transit anyway - and all worked satisfactorily. NOTE: with one or two samples, you do have to push quite hard with your finger-nail to get the little slide-switch to operate and stay locked on, but if you do that, they work fine. 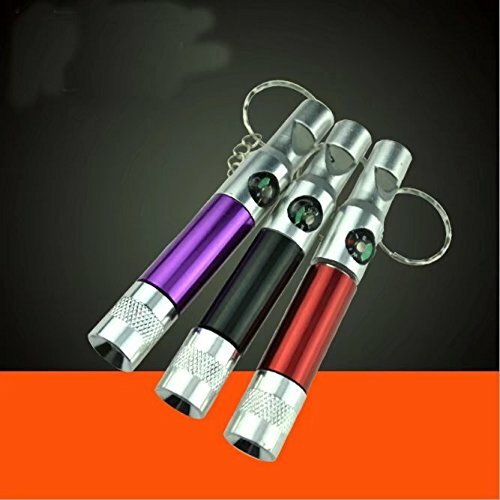 I received one of these mini torches in a handbag and the battery ran out. When I went to buy new batteries the shopkeeper said it would have cost me £6.00 so was very pleased when I found these. I have given some away and still have some left for myself. Great. 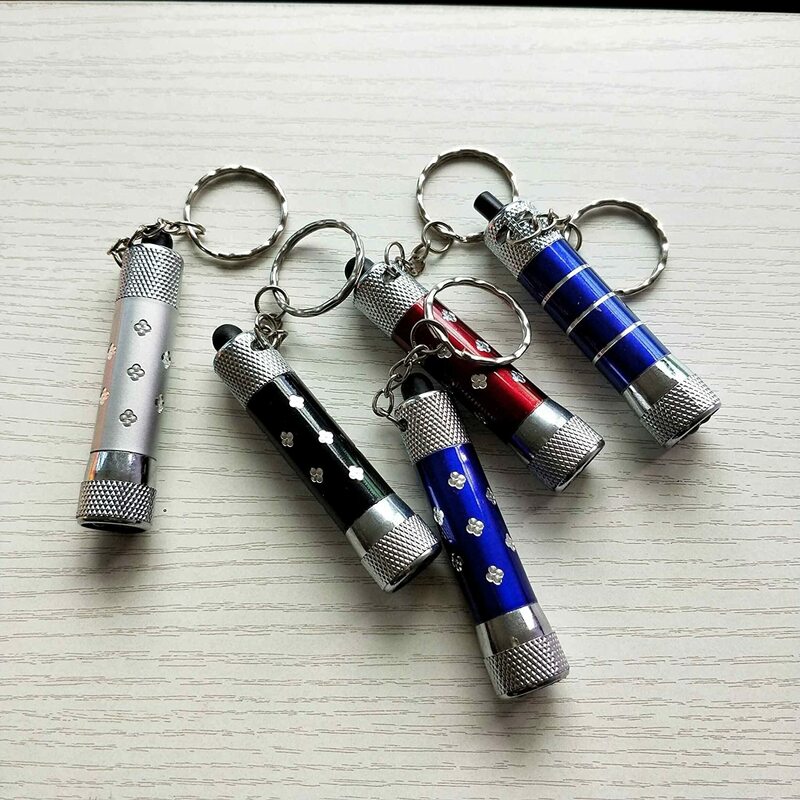 Out of my ten, one had no keyring and another one did not light up. Inside the plastic case you will find an LED bulb with two legs and two CR2016 batteries stacked on top of each other between the LED legs. It was one faulty battery that stopped the one working. It still works out less than 25p for each complete unit. Excellent value for money. 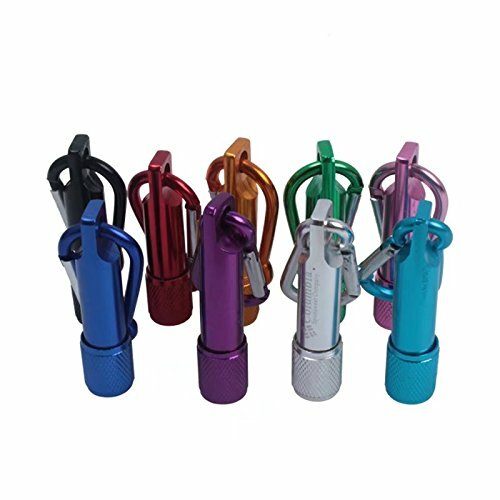 They might not stay long on a keyring as the little ring holding the keyring to the torch body is easily bent. 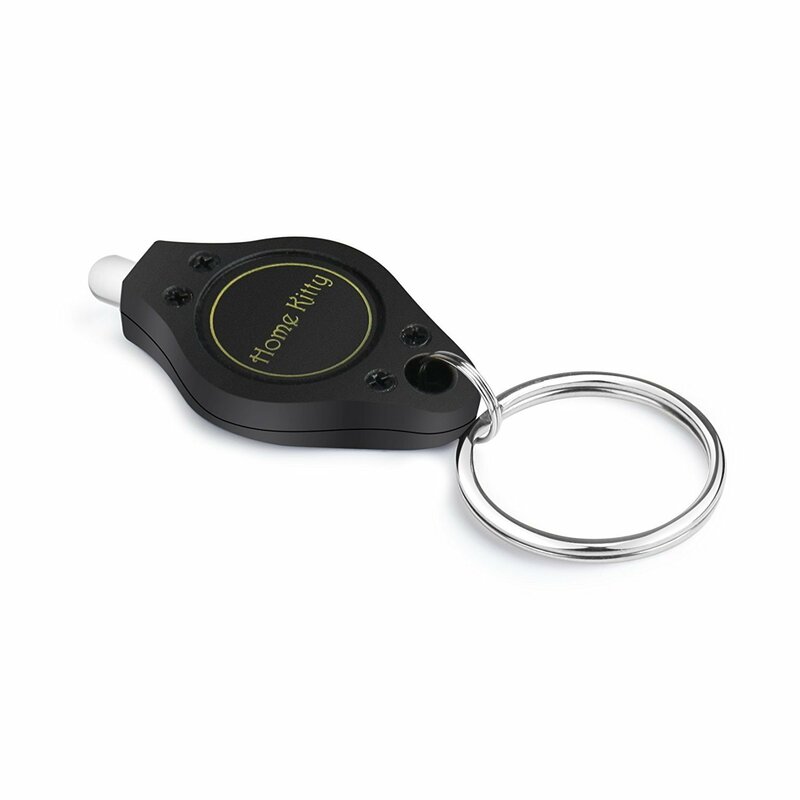 I have put the keyring directly through the torch body to make sure it stays put. Good, bright light and can be kept on by pulling the little tab back rather than keeping continuously pressed. Enough to leave a few handy in the car or around the house. Much brighter than previous set of 10 LED flashlights + moulding seems to be smoother (older ones had a rough finish). 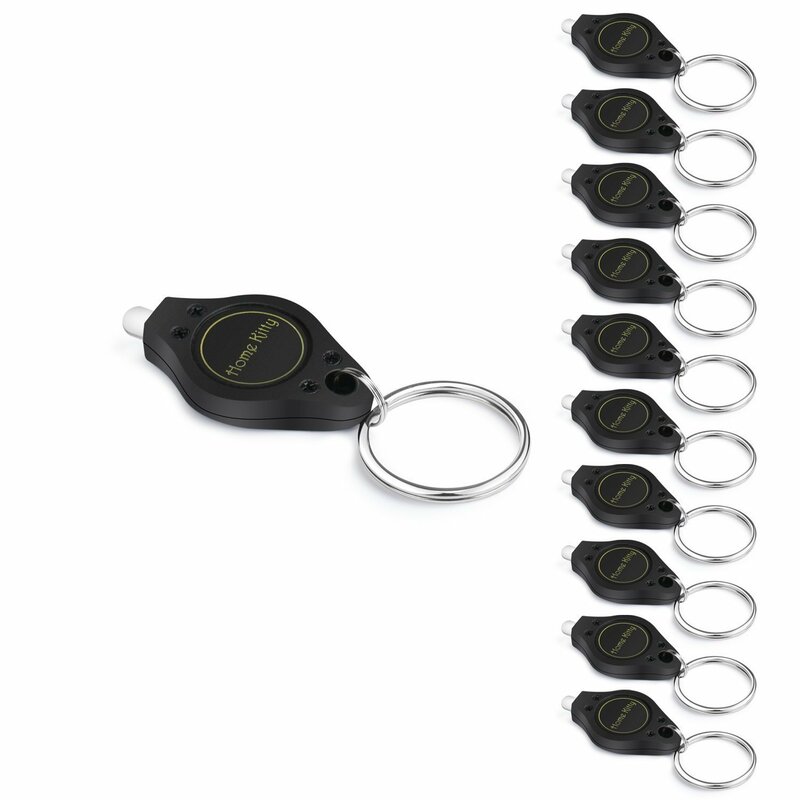 These have been handy to have on key rings and jacket zips. Whilst there are other more powerful torches out there, the best one is the one that you have to hand *when you need it* and not stashed away in the car boot or drawer. 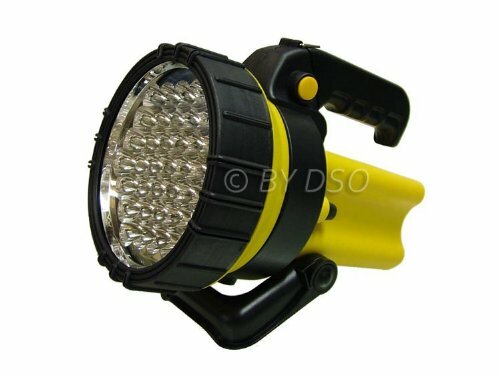 This is my second set of LED flashlights - good value, but does take a long time to arrive (hence 4 stars). 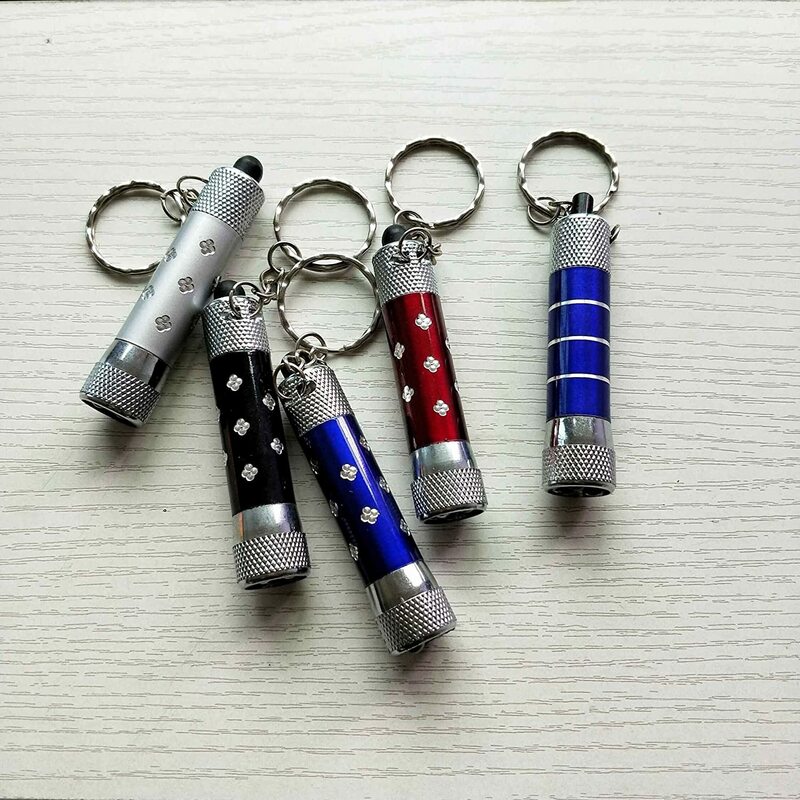 These tiny torches are wonderful. I buy them year after year to put in crackers, party bags and Christmas stockings and they never disappoint. I've used the same one (with the same battery) for nearly two years and the light is still as bright as ever. 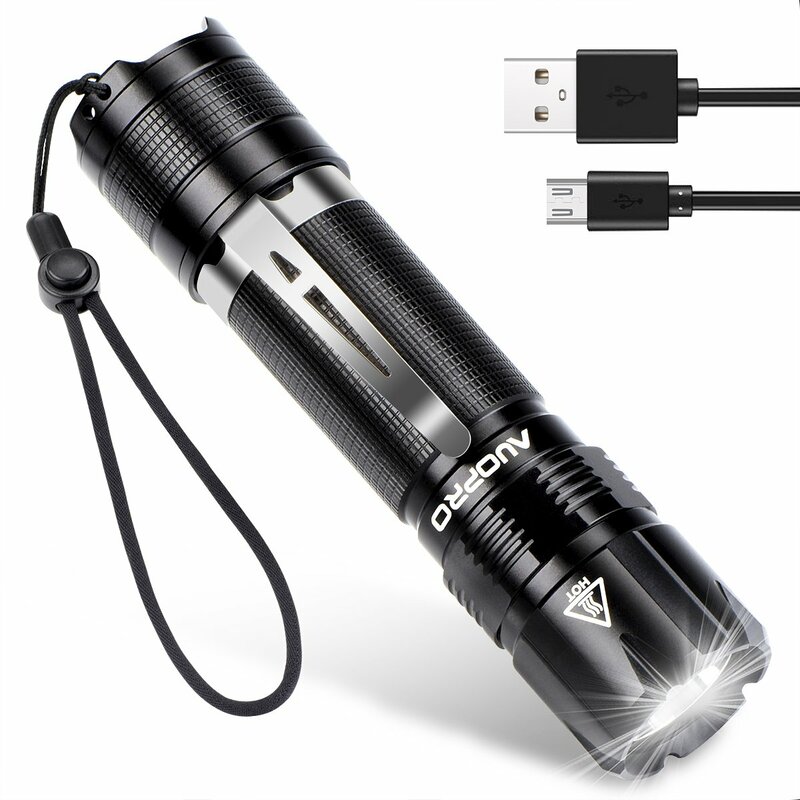 The battery is replaceable, which is a bonus - although at this price it is nearly as cheap to just buy another torch! Simple to operate: just press and hold down the side, or slide a tiny switch to keep the torch on constantly until you move the switch back to the off position. Be aware that the switch is REALLY tiny and quite stiff to manipulate, so those with arthritic, or even just very large, hands may have difficulty. All 10 worked in the batch I got, although one of them needed a little bit of an extra push to get it to light up (to be honest, for the price they were I would have been satisfied if half of them worked). The light is surprisingly good. Just give them a push on the middle and they'll light up. Alternatively, you can use the tiny little switch on them to keep the light on (incase you need both hands for something). Battery is also excellent... left one on overnight by mistake, and although a little dimmer, it was still shining the next morning! I give these to everyone I know to add them to their key-chain. I've been using these for almost a decade now. 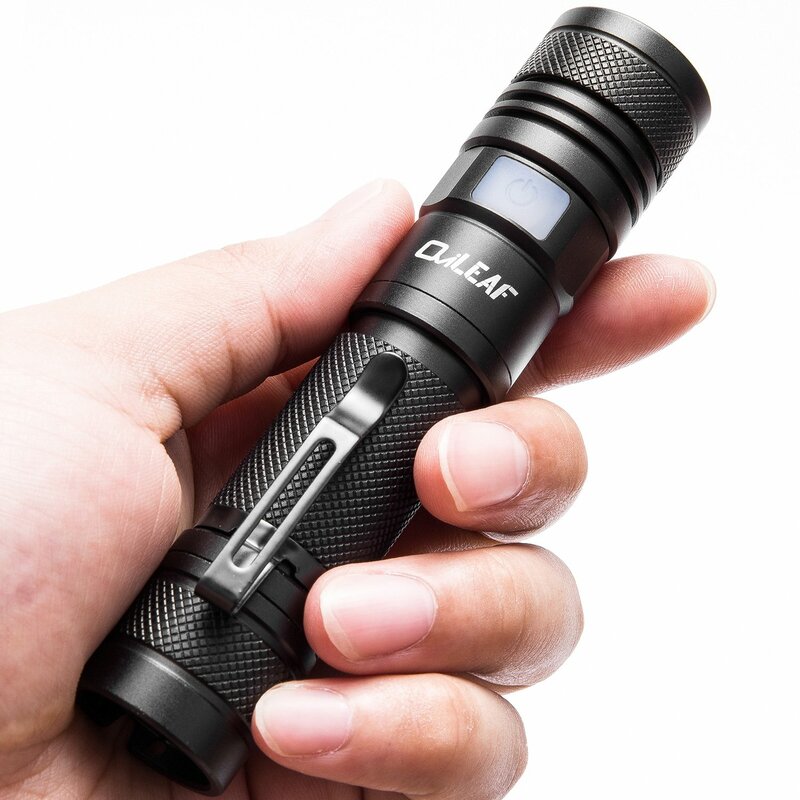 Very convenient, take zero space, included battery lasts quite long (even years) if you use it occasionally, yet have a usefully bright light when you need it. And let's not mention they are dirt cheap - the battery alone is more expensive, so when one dies I just replace it with a new unit. Apart from squeezing, they also have a tiny switch to turn it on-off, something that I think the first versions from many years ago lacked and is a nice feature when you need to use it for extended periods.